Kelvin Conrad was born in Thunderchild and was raised by his grandparents, Peter and Wilma Meetoos. His love for music began when he was a teenager. 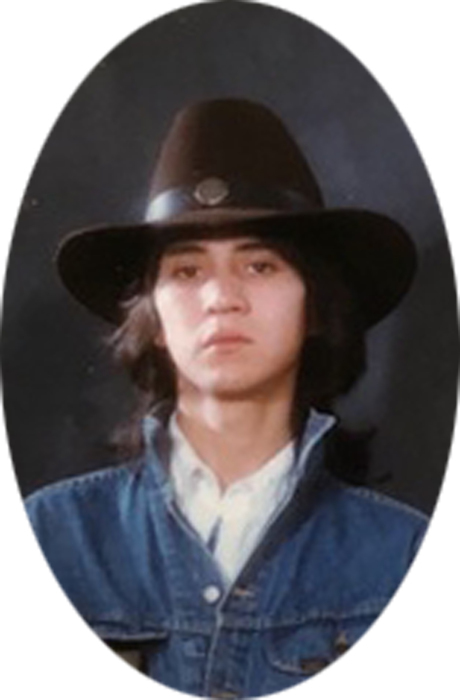 Later he moved to North Battleford when he joined the Blue Water Band. Eventually Kelvin left the band to raise his family and in his later years he married Rachel, and he lived his remaining years with her in Saskatoon. Kelvin's memory, wisdom and musical legacy will continue to live on through his children and grandchildren. Those who knew him will always remember him through his music, his intellect and his friendly personality. He is predeceased by: his grandparents, Peter Meetoos and Wilma Meetoos; his parents, Wilfred Awasis, and Mary Anne Meetoos; his brother, Jason Meetoos; his son, Brennan Paskemin; and numerous uncles, aunts and cousins. Kelvin leaves to mourn his passing: his wife, Rachel Meetoos; the mother of his children, Norma Paskemin; his children, Michael (Candace) Brady, Dylan Paskemin-Meetoos, Jacob Paskemin, Lance (Theresa) Wuttunee, Sheryl Delorme, Kristen (Audi) Atcheynum, Winona (Mike) Meetoos, Tisha Wuttunee, Alesha Wuttunee, Joy Wuttunee, and Toni Wuttunee; his special granddaughter, Sierra Alexson; his grandchildren, Hartley, Ericka, Cheryl, Cassius, and Cassandra (Baby Boss); his siblings, Phyllis, Candace, Geraldine, Alexandra, Luanne, Derrick, and Isaac; and numerous other relatives.